In “All Beauty Must Die,” Sturm’s vocals are surpassed only slightly by a surly guitar bridge. The segment is both fascinating and sensual. As he sings the lyrics “crazy man,” you get swept into a space somewhere between John Lennon and Bad October. As “Mirror, Mirror” and “Gitan” come and go, these tracks showcase Sturm’s intricate prose albeit drowsy music beds. In “Kingdom (Built on Sand)” and “If The Devil Comes” his recipe is consistent and he channels a bit more Moby and rock into his Bohemian world. Sturm’s tracks on Luna Park surely enlighten the audio world; he evokes profound images and stretches the imagination, and the guy can rhyme. 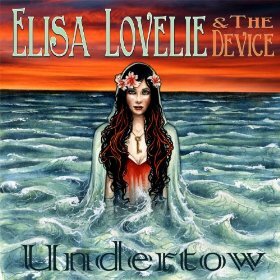 As a listener, what surprised me the most about the NYC based “pop rockers” Elisa Lovelie & The Device is not their heavier tunes, but the folk-acoustic saturated tracks in the debut EP Undertow. “Fire & Icicles” is one of the two most Pat Benatar sounding tracks of the lot. The beginning electronic guitar pluck is a bit like The Police’s “Every Breath You Take” with this lush string and roaring guitar riffs on its bookends. Lovelie’s voice is heavy with passion and strong with rock credo. “I Don’t Need You” is the second of the two Benatar flavored songs. Right out of the gate the throbbing base and crunchy guitar chords elevate the intensity. While these rockier tracks might not carry the listener into a far off world of lyrical wonderment, they certainly hold attention. For music lovers wanting stretching prose and to be transported into a breezy, reflective state, keep listening to the second part of Undertow. “Try” is like a slow dance between the audience and the artist. A mesmerizing string orchestration takes the lead, and the listener is lost in Lovelie’s vocal embrace. Her voice sighs out loud like a beautiful flower, while at times she flutters through notes like a butterfly. This track is rich with folk thread, but sewn stronger in the country quilt. 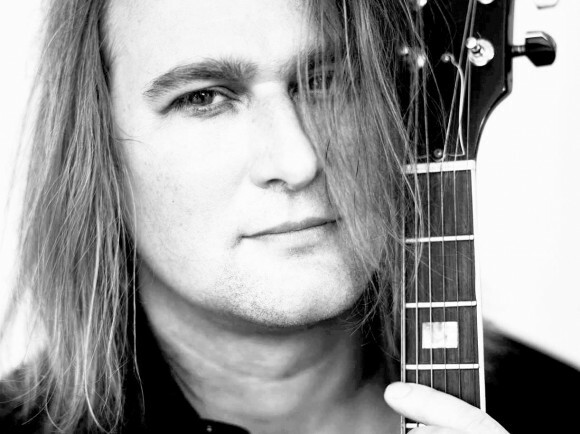 “Make Up Your Mind” begins with a majestic, stirring Spanish guitar. The strings gallop and transcend the listener into this sultry salsa flare. Lovelie’s vocals taunt and tango alongside the robust music bed. This song transports into a world of dance and spinning sensation. The chorus is contagious; the subtle backing vocals eerily whisper, but it is the guitar that takes center stage. Much like “Make Up Your Mind,” the engaging “When the Tide Goes Down” makes one feel like the waves of acoustic guitar and sweet, finely polished vocals are drowning the listener. The lyrics are wound like ribbon, unraveling in such flare and deep emotion. “When the Tide Goes Down” has a bit of a stronger punch than “Make Up Your Mind,” but I don’t feel like this could fall into a rock category. In their official bio, Elisa Lovelie & The Device draw some comparison to The Pierces, and I think this track falls into that vein. Like The Pierces’ singers, something wicked stirs in Lovelie’s vocals on this track, something dark. “Black and Blue” and “Bad Boy Blues” round out the Undertow. These are both strong tracks, but overall, after a few spins, “Make Up Your Mind” and “When the Tide Goes Down” stood out the most. That acoustic guitar and lyrical tapestry won me over! Remember the days when an audio book involved flipping the vinyl to side two when both the pages and narration prompted you to change to side B? The moment when an actual voice connected to the drawing in the book? 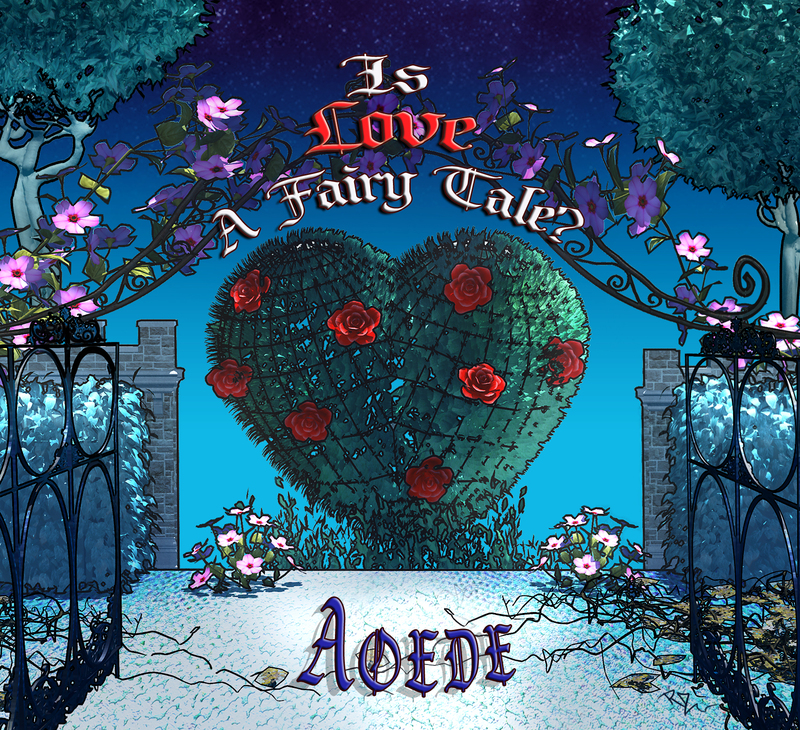 Taking cue from the magic of imagination and getting lost in a story, Aoede’s Is Love a Fairy Tale captures the innocence and dream world so easily forgotten. Aoede’s mesmerizing, almost ethereal vocals transport the listener to a simpler time. While this children’s album has greater appeal to tweens, the message is still fun and engaging for all ages. In “Is Love a Fairy Tale (Part 1),” the mixed voices answering “What is love?” fused with cheerful music is somewhat of a chore (as an adult) to get used to. The narration soon carries a peculiar weight; it is impossible not to drift away and let the imagination take its course. “Is Love a Fairy Tale (Part 1)” has this wah-uh-o chorus that sets an upbeat tone for the entire record. “Wonderhaven Mythical Zoo” (track two), feels like the story is getting into its groove. As a listener, you feel like this combination of story telling and sweeping orchestration paints such a vibrant setting. By the time “Days Like This” (track 12) comes around, a more pop, wall of sound emerges. This song is a bit like The Pierces’ and has this cheeky, sassy hook to it. In listening to Aoede, I felt like she’s a cross between Fiest and Fiona Apple. Her voice has this rhythmic jaunt to it. “Wonderhaven Wonderpark” teaches us to take the good with the bad. The sweet, sticky ice cream she talks about is as sweet as the guitar riff. “Perfect Day” is bright and cheery and really kept me clapping along. As she sings, “I feel so alive,” the listener feels alive too. Note to listeners, it’s easier to listen to this entire album from top to bottom, don’t listen to each track one at a time. If your iTunes is like mine, it might skip to another track. Maybe I’m just in need of more narration as to how to really listen. This entire album surprised me and really just put me in a great mood. I like what Aoede did with the questions so many of us ask every day. Melissa Kucirek is based in Omaha, Neb. (USA). Besides a relentless thirst for all things 80s (still a proud vinyl listener! ), she enjoys curling, bocce, and her family.